Another Monday has arrived, dear gamers, and Nintendo of Europe is trying to cheer us up with its Download Update details. Let's get started! Guacamelee! Super Turbo Championship Edition (Drinkbox Studios, €13.99 / £11.99) - Guacamelee! STCE is a Metroidvania-style action-platformer set in a magical world inspired by traditional Mexican culture and folklore. The game features melee combat, parallel dimensions and same-screen co-op. This new Super Turbo Championship Edition also includes extra abilities, more level content and enhanced graphics. Also chickens. We gave this two thumbs up in our preview. Watch out for our upcoming review if you are still on the fence about this colourful action game. Armillo (Fuzzy Wuzzy Games, €6.00 / £5.50 - Special introductory price: €4.50 / £4.00 until 24/07/14) - Armillo is a rolling platforming game with a sci-fi parallel universe theme. Roll around in spherical 3D worlds. Then enter a bonus stage on the moon. There's also the evil parallel universe and special 2D speed-run inspired levels. Lots of unexpected deadly twists, and surprises await! This certainly looks like a promising game and has been in development for ages. While you wait for our review, check out our interview with Fuzzy Wuzzy Games. Flowerworks HD: Follie's Adventure (NOCTURNAL, €5.00 / £4.00 - Special introductory price: €2.50 / £2.00 until 31/07/14) - During a routine space trip, Follie's ship mysteriously malfunctions and crash lands on Elilia, losing all her precious Flowerwork seeds. Before long, her very sanity is threatened by drab surroundings and uncooperative gnomes. Help Follie find her seeds, use Flowerworks to transform her surroundings and show those gnomes who is boss on the way to unlocking the secret of Elilia. Flowerworks HD has 5 difficulty levels to cater to all skill levels, but beware - becoming a Flowerworks master in this 20hr puzzle/adventure game is not for the faint of heart! We felt this was a few carnations short of a full bouquet in our Flowerworks HD: Follie's Adventure review. Adventure Island (NES) (KONAMI, €4.99 / £3.49) - An evil witch doctor has kidnapped Master Higgins’ true love, Tina! You must venture through eight perilous areas filled with enemies determined to stop you. As if that wasn't tough enough, Master Higgins loses vitality over time; so he must grab fruit, milk and whatever other goodies he can as he races towards his goal. Smash eggs to find useful items like the axe and skateboard to help you progress. At the end of each stage, face off against the witch doctor’s various guises. Go, Master Higgins, go! We reviewed this classic NES platformer back in 2007 when it hit the old Wii Virtual Console and found it was still good fun. Watch out for our 2014 verdict on Master Higgins coming up soon. Chibi-Robo! Let's Go, Photo! (Nintendo, €12.99 / £11.69) - Also known as Chibi-Robo! Photo Finder in the US. The Curator dreams of immortalising real-world objects as NostalJunk to put on display, and it’s your job as Chibi-Robo to help him fill his Exhibition rooms with your very own photographs! Using your Nintendo 3DS or 2DS cameras, line up in-game shapes with real-life objects, take a snap, then watch them be transformed into the coveted NostalJunk! Explore the human world as the helpful robot hero and see things from a new – and Chibi – perspective, as you meet a cast of colourful and hilarious characters, including a sushi-slinging squid, a high-flying super hero, and an eccentric pair of chefs. Solve their problems and clean up the world to earn Happy points to buy Silhouette films for your camera. The more happiness you spread, the faster you can realise The Curator’s dream of having as many NostalJunk aficionados admire his exhibits as possible. We found the experience to be quirky and fun, but not without some issues. Find out more in our Chibi-Robo! Let's Go, Photo! review. Quell Reflect (CIRCLE Ent., €3.99 / £3.49) - Quell Reflect is an enchanting game of logic, which has taken the puzzle world by storm. Put your brain to the test with this charming puzzle game that features over 100 levels of addictive, lateral thinking. Featuring a beautiful exclusive soundtrack by Steven Cravis, Quell Reflect is a deceptively simple, and easy to pickup game that will test your brain in new ways. Be prepared to lose yourself in this entrancing Zen classic! Fall in love with Quell today! We found this to be a thoughtful and sophisticated experience in our Quell Reflect review. Squids Odyssey (The Game Bakers, €12.99 / £9.99) - Squids Odyssey is a unique mix of action strategy and RPG: build your team of Squid heroes for epic turn-based battles against corrupted crabs and shrimps! Steev and the rest of the Squids are in danger! An infectious black ooze is corrupting their world. The band of unlikely heroes need to fight back to save their kingdoms! (Bonus: If you downloaded Squids Odyssey on Nintendo 3DS, you can download Squids Odyssey from Nintendo eShop on Wii U for free! - Consoles must both use the same NNID). We'll bring you a review of the 3DS version of the game soon, we liked the Wii U eShop version so this could be one to watch out for. Pokémon Art Academy (Nintendo, €34.99/ £29.99) - Grab your stylus and start your Pokémon-drawing journey in Pokémon Art Academy, only on Nintendo 3DS family systems! This Pokémon-themed iteration of the Art Academy series offers budding illustrators and Pokémon fans alike 40 lessons to learn how to paint, sketch and draw with beloved Pokémon characters. We approved in our Pokémon Art Academy review. Meh ,no shovel knight . Why is the price so much more for this game ????? Also cross buy is a thing now. @DESS-M-8 I know VAT but this has to be the first time the actual £ value is bigger then the $ value before being converted to $'s. The game is like $20 in the UK is what I'm getting at. It's got to be Chibi-Robo! This little guy needs love and support! @DESS-M-8 Should be about £7 even including VAT. @Jazzer94 It's a worrying trend with Nintendo that started with Mario Golf. $29.99 and £34.99. It makes it really hard to go for downloads when you can get it physically for £26. Meh. I'll just add Adventure Island on my wish list just because I've played the heck of it back then on my Famicom. Armillo and Flowerworks are for me given the special offer. Need to check out that Kung Fu Rabbit review again as well. Guacamelee is on my radar for sure, but I've just cleared the slate of story-driven games so I can revisit Xenoblade. Good week for sure. Already have the normal version of Guacamelee on PS3 so I'll give that a miss but it's a really fun game, highly recommend it to someone who hasn't played it already, especially if you like Mario and Rayman and stuff like that. It's a really surprisingly well done 2D platformer with great combat and puzzles. I'll probably give Armillo a go at that price. The Squids Odyssey thing surely proves cross buy is possible. So there's no technical barrier to cross buy, it's just up to Nintendo to decide wether to offer that value to us. There's also the fact Nintendo Europe over charge. I can get another world digitally on PS3 for just over £6. Same thing on eShop, over £7 forth same product. How's that? You're right! NINTENDO ARE STEALING FROM ME!!!!! Here's a good one. Look on the Wii shop channel on wii mode on your wii u!!! Where the hell are all the games? There's 14 N64 titles. Log onto wii shop channel on an actual wii there's like 59. Same on all formats. There's hundreds of games missing. I added over £20 in wii points, went to download ocarina and majoras. NOT THERE!!!! @ROBLOGNICK I played the demo for this its actually really good. I'd played it for an hour without realising. I can't wait to sink my teeth into Guacamelee! I'll be getting that along with a bag of nachos, some guacamole and Desperados, for the full experience! I definitely recommend Guacamelee for anyone who likes action platformers! It's funny, plays slick and looks nice. Squids Odyssey definitely deserves some attention, cross-buy just makes everything that much sweeter. Great week overall. Anyway, this is a typo, isn't it? "Bonus: If you downloaded Squids Odyssey on Nintendo 3DS, you can download Squids Odyssey from Nintendo eShop on Wii U for free! - Consoles must both use the same NNID"
Or it simply means that if you own one version you'll get the other for free? Maybe I'll pick up KF Rabbit at half price on Wii U this week. I can't recommend strongly enough that @SuperCharlie78 and @Sean_Aaron and anyone else interested pick up Kung Fu Rabbit, which is a superb and supremely under-appreciated Wii U eShop platformer ideal for us Nintendo fans! Actually, I believe NOE has its servers located at Ireland and all the VAT from downloads are payed there. This is a common practice among download-shop providers, since Ireland's VAT is a measly 11%. @DESS-M-8 Concerning the film that's 2 dots within a square in Chibi Robot, it's an old wall socket ! Adventure Island is great, until you get to stage ... 7-3? I don't remember exactly, but it's in a cave. It will test your run-jumping capabilities to an extreme! It's the most difficult platforming level you will probably ever play. Armillo was the game that really got my attention to the Wii U eShop indies almost a year ago. I intend to get Armillo, Guacamelee! and Flowerworks HD if the average reviews of these games are favorable. Don't forget Mutant Mudds Deluxe update for 3DS! Man, reading that "Viva Mexico" tagline brought back the utter fury I felt yesterday after their coward excuse for a coach managed to lose a World Cup match he had no business losing. But I digress. Definitely getting Guacamelee as soon as it arrives in the Americas, especially since I'll be finishing Shovel Night in the next couple of days. As someone who's played through the PS Vita version of Guacamelee! several times, I really can't recommend it highly enough. It's an intoxicating mix of Metroidvania platforming and old skool 2D brawling — and needless to say, I'll certainly be indulging in a spot of Super Turbo Championship fun come Thursday! What with the PS3 (cross-buy) version, Guacamelee! on Wii U will be my third copy of this particular downloadable. Cool beans! Chibi shall be mine. Awful to see Europe getting violated with the price hikes once more though. Someone in NoE needs a slap. Stand up to NCL you monkeys! 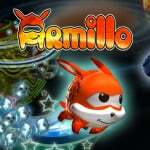 I have been waiting for Armillo for months so that is the first I intend to download. Squids Odyssey was a game I was interested in but didn't have the funds at the time. Now it is on cross buy I will definitely be picking it up as well. Wasn´t there a free update for Mutant Mudds? The deluxe for 3ds worldwide? Shovel Knight is amazing, i feel sorry for you guys in UK, but Guacamelee is worth some time, great game. It's hard to justify buying Guacamelee for 14€ when it was on sale for less than 3€ during steam summer sale. Changed my mind, getting both Squids Odyssey and Guacamelee. Only Pokémon Art Academy for me this week, and will be getting it retail, not download. Guacamelee isn't really my thing, I don't really like wrestlers and I really don't like the artstyle. Waiting for Shovel Knight. But I wanted Shovel Knight. @Sephariel 17th July you say? That'd be a great way to celebrate my 41st birthday — a retro game for a very retro gamer! I am excited for Guacamele and Armillo this week! Loving the eshop recently! I can not believe that Chibi Robo is finally going to be released in Australia / Europe! I only found out about it a few days ago, at first I thought that it was a mean joke, then I saw the demo on the eShop! I was really beginning to think that it would never see the light of day over here (especially since NA got it many months ago). Now if they would only release "Disney Magical World" over here as well, I would be happy. I still REALLY want that game. I would just import the game if it wasn't for the stupid region lock. 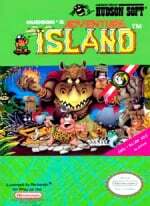 (Hudson's) ADVENTURE ISLAND, the fiiiiirst one in NES!!!! Yay!!! I already got Guacamelee! for free on the PS3 with my Playstation Plus subscription, so I pass. @xj0462 Konami owns Hudson now. Seriously though, I WILL be getting Guacamelee!! It's a shame that Mexico lost yesterday. They really deserved to win! Definitely downloading Armillo, and I'll try and hold out for a bit of a discount on Guacamelee (would prefer it to be £10 or less). Still no Game & Watch Gallery 3 on 3DS then? Meh! What about Shovel Knight? What about Pier Solar, for god's sake. Damn!!! @gurtifus and where in the UK are you supposed to have a chance of seeing one of them? I will see after Japan Expo. Really like the visuals for Guacamelee, hopefully it plays as well as it looks.